For use with USE RX posts and other seat post 25.0 in diameter. Made from thermo plastic (also available in aluminium). The USE shim system is made to 100mm length, longer than other shims on the market. This gives your seat post much better support inside the frame. Designed with a "top lip" to stop shim sliding into the frame. ID ( Inside diameter) = 25.0mm. OD (overall diameter) = 27.4mm - 32.8mm. Really well made lightweight and long lasting shim that fitted perfectly. Class. Looking to shim a 27mm post to fit into 28.6mm. is there a shim? Have with a 28.6mm outer diameter have a 27.2 inner diameter, which should work fine as there is a minuscule difference. I have a USE sprung seat post of 25.00-25.1mm on my vernier scale. My new Specialised Vado 4 ebike has a 30.9mm seatpost (by measurement and by spec in the manual). 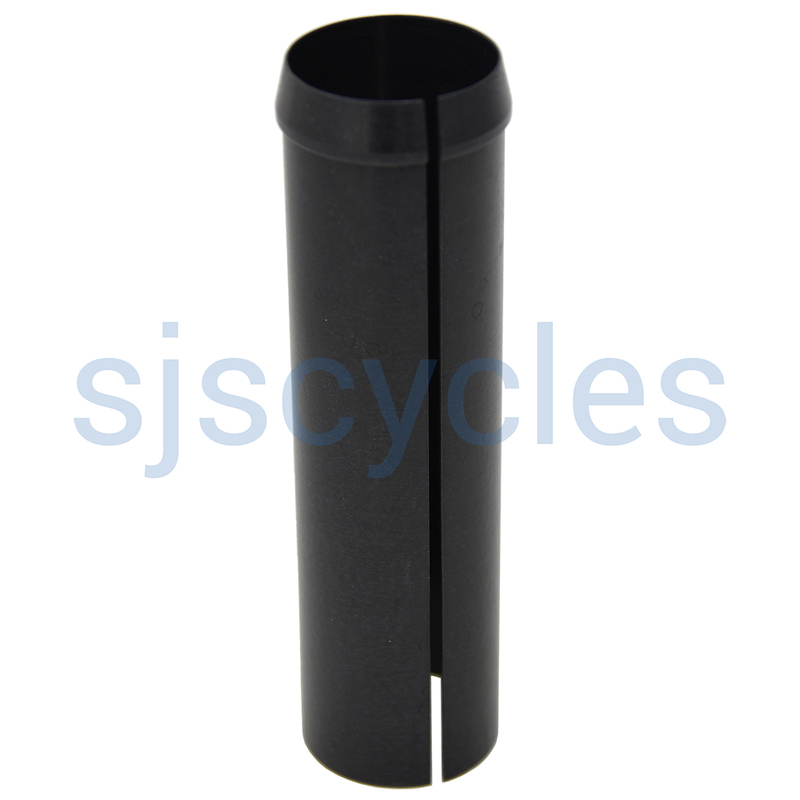 Unfortunately we only have up to 30.8mm which will be unsuitable for your bike. Yes that will be suitable. I want to use a Cane Creek Thudbuster 24.4 seatpost in my bike that that requires a 27.4 seatpost. Can I use a USE 25 to 27 shim and would that work or do you have another suggestion? In theory as the size increase between 25.4mm to 27.4mm and 25mm to 27mm is the same you should be fine using a 25mm to 27mm shim for that seatpost with your frame.